Slide-in-Slide aka “Jumbo Slide” is a revolutionary feature that improves the space inside the RV while keeping weight and size in mind. This makes this RV have the same living space as some much bigger models. This has two lofts, whereas most only have one loft. 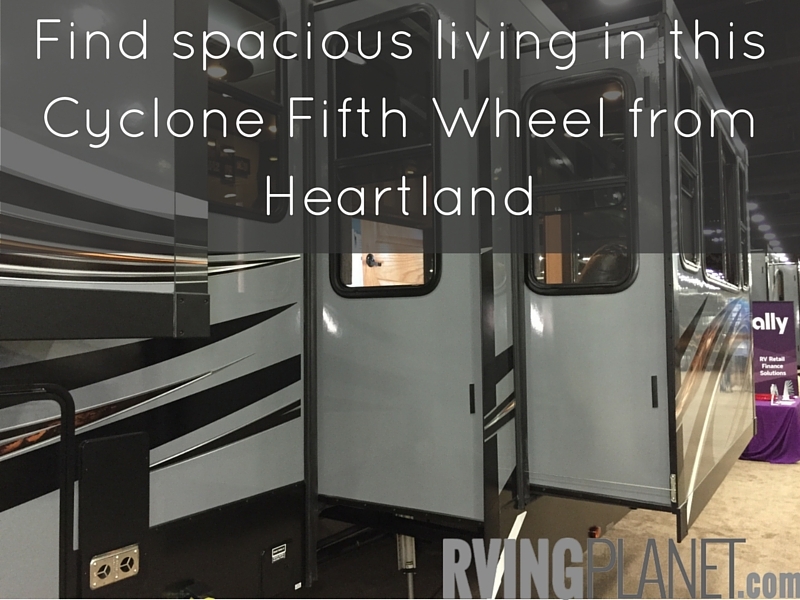 Get started now looking at New Heartland Cyclone Fifth Wheel Toy Haulers floorplan styles. 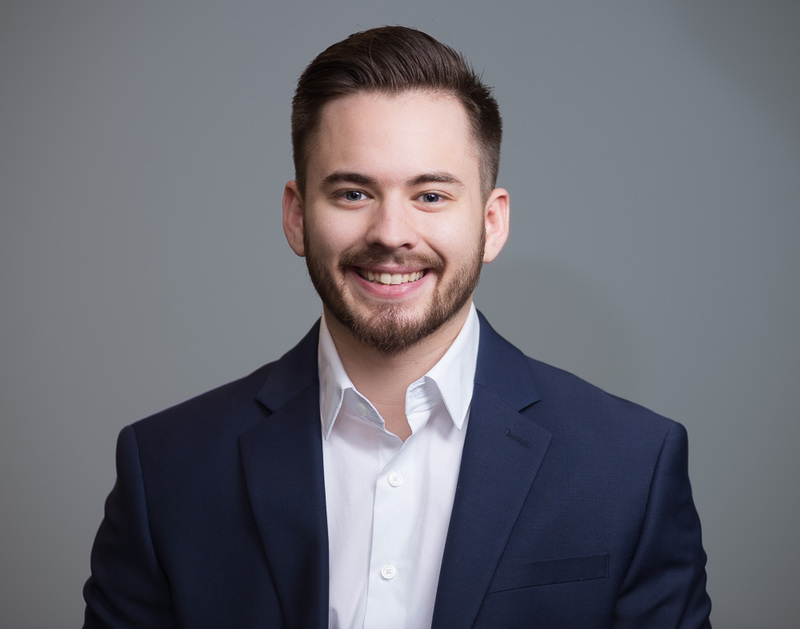 Nate: Hi again, this is Nate with Rvingplanet here and I have AJ Jones of Heartland RV and we are at the 2015 RV Industry Show here in Louisville, Kentucky. AJ here is going to tell us about some of the cool features of the Cycle Fifth Wheel. AJ: Absolutely, welcome to the 3611 JS Jumbo Slide. The reason why we call it Jumbo Slide is because this is the industries first slide in slide. This actually slide right here is 5 feet deep, it’s a telescoping slide out that has a huge main flush floor slide out on the first slide and then you have another 2 feet deep slide after that. The reason why that’s so important is because this unit is the double axle unit, it’s only a two axle unit and it’s only 38 feet long. With that being said this is only 38 feet long in comparison to all the rest of our models out there that are actually 44 feet and larger on our triple axles but yet this has the same square footage. You have the same kind of living space here that you’re going to have on all of our biggest models out there and you’re going to find that in our smallest model here on double axles. This has got a lot of other nice features to it as well, the fact that you’re going to have king size bed. A residential sunken tub that sinks down that actually gives you a real bathtub that sinks down. Dual entrances into the bathroom. You actually have two built in lofts for the kids so they can have each individual lofts for it. You have a 50 inch flat screen TV, a 58 inch flat screen TV, the biggest flat screen out there in the industry. You have another bathroom back here, you actually have a half bath back there and you also have an 11 foot garage back there as well that has a built in patio system off the back. Nate: To store all your toys. AJ: You know what’s been really great about the market place what we’re doing too is the diversity of what we have. It’s not so much the toys anymore. That’s how the toy auto market kind of started but now this is more of a luxury bunk house just as much as it is an actual toy hauler. Nate: So if you guys want to check out more you can look at the video notes below or you can head over to the RV news section of Rvingplanet.com thank you for watching.